Following the success of the original Hypetrain Freestyle motor, we are proud to present a new flagship motor — the Hypetrain Acro! 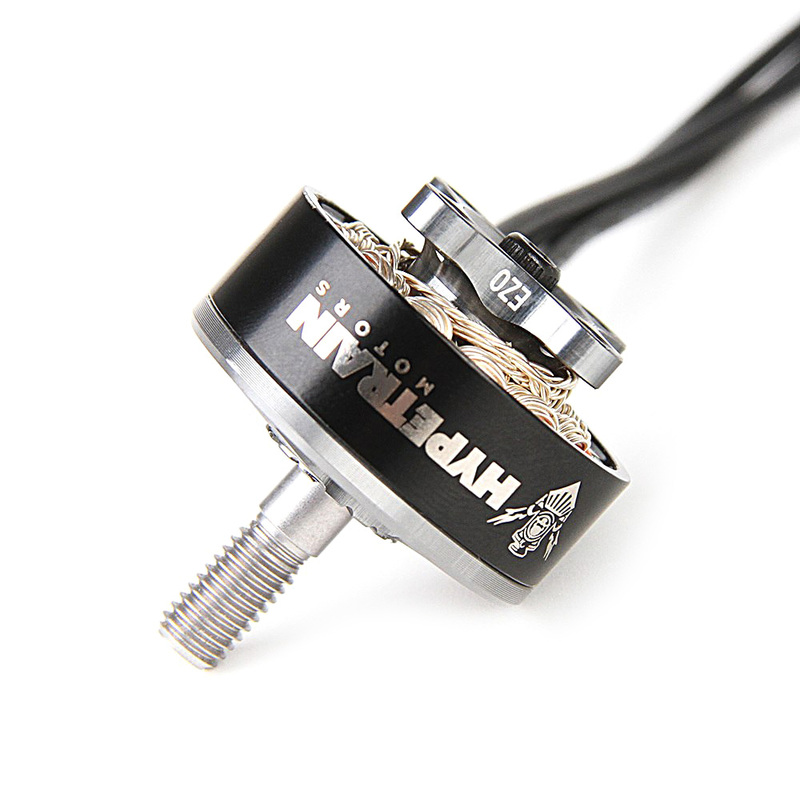 This motor features the same balanced 2450 KV rating of the FREESTYLE which has been proven to provide for good all around power and efficiency, but the stator size however, is different. The slightly narrower but taller 2207 stator provides a sharp power curve and more responsiveness on the top end of the throttle. The motor features the second generation Hypetrain bell, which is made form Aircraft Grade 7075 Aluminum. It maintains the iconic tri-spoke design inspired by the Rotor Riot logo, but the outer lip has been thickened to help reinforce the bell ring against denting during crash impacts. This durable design will help ensure smooth rotation even after tons of bando bashing! As with all Hypetrain motors, the “open bottom” style base enables considerable weight reduction and improved cooling. The 16×16 mm mounting screw pattern opens up new design possibilities while still maintaining backwards compatibility with older frames. All in all, the Acro is a great balanced option for agile, snappy proximity freestyle!